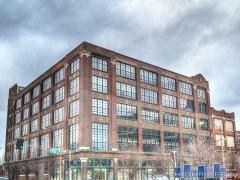 McGowan is an authentic loft building in St. Louis with secure underground parking and roof-top deck with a pet area. Many of the units have hardwood floors, exposed brick and duct work and large open windows. Have any comments or questions about McGowan Lofts? Ask your question and/or share your thoughts about this Building. Greg, do you have any lease properties @ McGowin or Terra Cotta Lofts? I love the spacein these properties!